Complete the form below to apply for auto financing. This application is protected with the highest level of internet security available to ensure that your personal information is safe. Please note that all form fields are required. I intend to apply for joint credit. I agree to be contacted by Superior Auto, Inc. using automated telephone dialing systems, text and/or prerecorded messages at any number previously provided. For more information regarding the Telephone Consumer Protection Act, click here. You are about to submit personal information to Superior Auto, Inc. for the purpose of applying for credit to purchase a vehicle. 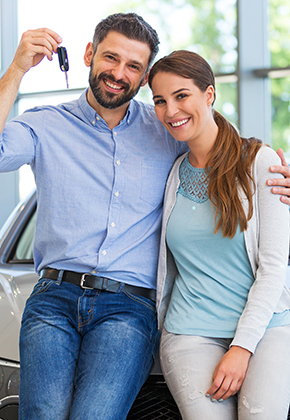 Superior Auto, Inc. will process your credit application, however you will need to provide additional personal information in order to finalize your purchase. Ohio Residents: The Ohio laws against discrimination require that all creditors make credit equally available to all credit worthy customers and that credit reporting agencies maintain separate credit histories on each individual upon request. The Ohio Civil Rights Commission administers compliance with this law. Our mission is to provide reliable transportation, financing options, and excellent customer service to earn repeat business. Superior Auto has been accomplishing this mission for 44 years.